The very first road that I ever drove on in Phoenix, back when I was 19, was Cactus Road. I was heading south from Flagstaff and somehow that name just seemed absolutely perfect. I grew up in Minneapolis, so the thought of seeing a road that was named Cactus just tickled me. And yeah, there are some cactuses (cacti?) there, but really that's not where the name came from. It came from the little town of Cactus, which has left without a trace, unless you count the road that once led to it. I love learning about Phoenix history, and something names can be a real clue. 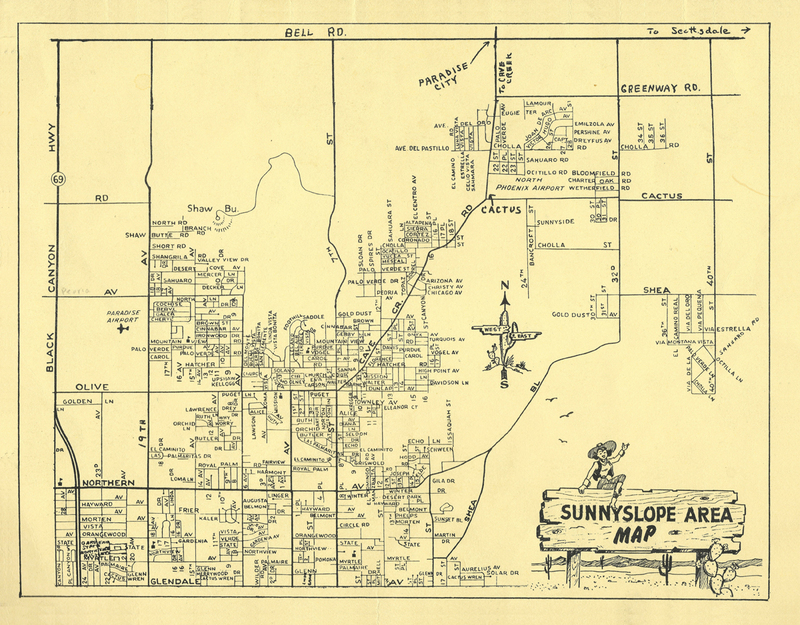 Like Los Angeles, Phoenix grew by having a lot of little towns grow together. Sometimes the names of the towns remain, sometimes it's just the name of a community, and sometimes the towns retain their independence. I wish I could tell you more about Cactus, Arizona, but all I have is this photo. And of course, it shows up on old maps. 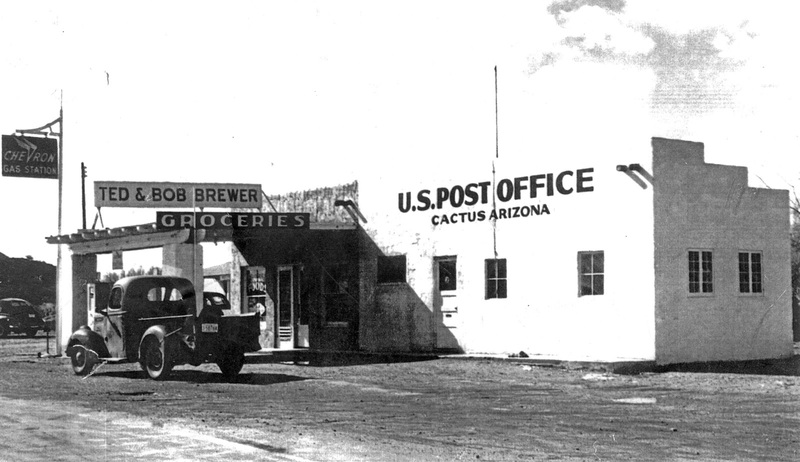 It was where Cave Creek Road crosses Cactus, which must have been waaaaay out in the middle of nowhere 50 years ago. 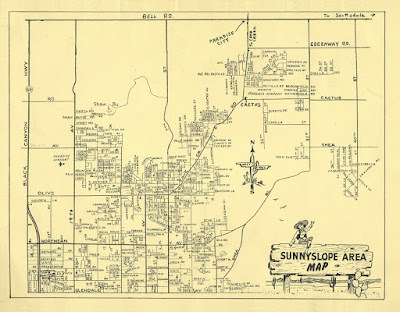 The Sunnyslope area in the 1950s, including the little town of Cactus. Where did you find the gas station photo?